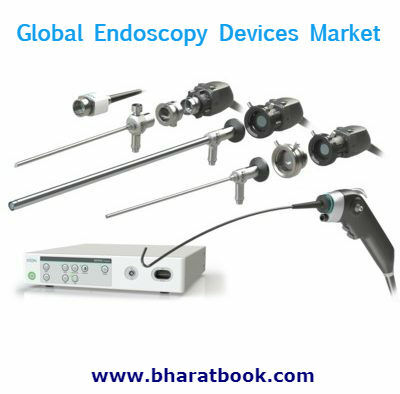 Bharat Book Bureau Provides the Trending Market Research Report on “Global Endoscopy Devices Market - Analysis By Type (Rigid, Flexible, Capsule), Application (Arthroscopy, Bronchoscopy, Colonoscopy, Laparoscopy, GI Endoscopy, Others), By End User (Hospital, Clinic), By Region, By Country (2019 Edition): Opportunities and Forecast (2013-2023) - By Region (N. America, Europe, APAC, ROW), By Country (U.S, Canada, Germany, U.K, Japan, China, India, Brazil)” under Life Sciences category. The report offers a collection of superior market research, market analysis, competitive intelligence and industry reports. According to this research report “Global Endoscopy Devices Market - Analysis By Type (Rigid, Flexible, Capsule), Application (Arthroscopy, Bronchoscopy, Colonoscopy, Laparoscopy, GI Endoscopy, Others), By End User (Hospital, Clinic), By Region, By Country (2019 Edition): Opportunities and Forecast (2013-2023) - By Region (N. America, Europe, APAC, ROW), By Country (U.S, Canada, Germany, U.K, Japan, China, India, Brazil)” global endoscopy devices market is projected to display a modest growth represented by a CAGR of 6.4% during 2018 – 2023.